Fishing for crappie has been rated as fair to good, with anglers having success using minnows and jigs. Fishing for saugeye has been rated as fair to good, with anglers having success using a variety of lures. There have been occasional reports of wiper and large mouth being caught, with anglers having success fishing from boats rather than the shore. Upper River: BWO's are the main menu item right now, but caddis larva and pupa are becoming increasingly available and important. In the afternoons, be prepared for BWO hatches; we've had excellent reports on the river above Buena Vista. Sporadic adult stoneflies have been found along the banks at Hayden Meadows, so large attractor dry flies should be in your kit if you're headed there. Nymphing slow, consistent pools and runs early and mid-day in the upper basin can be productive, with fish moving into faster riffles to feed when nymphs are drifting, primarily in the afternoons. Be thorough in your approach, and adjust your weight and depth often to locate fish. Middle River: Cooler weather will be slowing the melt during the latter part of this week, reducing the tributary flows and clearing up the Arkansas River. This will provide a window of opportunity for anglers in the Browns Canyon/Milk Run area - quite possible to see resumption of caddis and BWO activity. 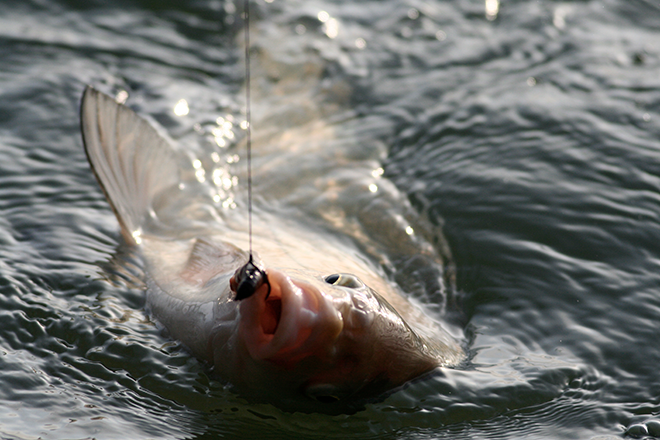 Fish will gravitate to edgewater pockets, so dry-dropper fishing should be effective. This is a great opportunity to get on the Arkansas River one more time before runoff commences in earnest. Lower River: Warm weather over the weekend and early this week increased snowmelt in the tributaries, raising the river level and murking up the water. However, those tributaries appear to have stabilized now and the river's clarity is showing improvement. With much cooler weather forecast for the rest of the week, expect those tributaries to decline and the river to return to good conditions. The flows will be higher than last weekend, but visibility should be good and many fish will be taking up opportunistic feeding lies along the edges of the current. Pocket water fishing with dry-dropper combos ought to be quite productive - think attractor dries and nymphs, stonefly nymphs, adult craneflies, and some last BWO mayfly emergers. Streamers should be very effective as well. Fishing on the reservoir side has slowed down over the last week. There have been a few reports of anglers catching some smaller sized crappie and white bass. There have also been a few reports of anglers catching some decent sized walleye. There have been a few reports of bass being caught, but the recent weather has slowed down the bite. There have also been a few reports of crappie and catfish, but recent reports have predominantly been for trout. The lake is at approximately 990 surface acres. Fishing from the south shore has been very slow due to how stained the water is. There have been trout in the 12 to 15 inch range caught off of worms and PowerBait. Reilly Canyon, where the river comes in, has been slow due to stained water from recent rains. There have been a few reports of catfish and bass being caught. Boaters have been catching mostly trout and walleye, but in small numbers. Perch fishing has started to pick up, and boaters have found success using jigs tipped with worms.